I’ve always had a big problem with grouping students by ability. The Sutton Trust EEF Toolkit shows that ability grouping, setting or streaming has a negative impact on student attainment. It’s fair to say, the case for setting and streaming is full of holes and there is plentiful research out there to show that it doesn’t achieve what it tries to achieve. As the Sutton Trust Toolkit says: “ability grouping appears to benefit higher attaining pupils and be detrimental to the learning of mid-range and lower attaining learners.” In other words, it exacerbates the Matthew Effect and ensures that the gap between the knowledge-rich and the knowledge-poor widens. My big problem with any discussion around grouping is with the weasel word “ability.” As Fearghal Kelly says it has all the connotations of a fixed mindset. When you talk about a “mixed ability” group what are you really saying? That some of them are more “able” than others? This language implies that those “low ability” students you have are actually less able to improve. The word itself reinforces the widening of the gap. In actual fact, as we all know, students who end up labelled “low ability” have complex needs, some cognitive, some behavioural, some social, and some attitudinal which have led to them performing poorly. This poor performance – their prior attainment – gains them the label of “low ability,” but it does not necessarily follow that low attainment corresponds to lack of ability. I want to root the word “ability” out of my own and my school’s vocabulary. If we are truly to become a growth mindset school we must avoid the bear-trap of labelling students with fixed terms like “middle ability” throughout schooling when we actually mean “achieved between 25 and 40 marks on their English reading paper in Year 6 which was then translated using a threshold into an arbitrary level 4.” This has nothing to do with the individual’s ability. It is all about performance. Ability is not fixed. As teachers we can work with young people to overcome their cognitive, behavioural, social and attitudinal issues and improve their ability to access the curriculum. We certainly won’t solve all of those issues outright, but we can ameliorate them – and we must. But labelling a young person as “low ability” is not going to motivate them or us to try. I wrote to parents this week explaining our grouping and curriculum approaches in school, and I didn’t use the word ability once. “Students are taught in groups with the full range of prior attainment,” I wrote to explain those subjects that mix – the majority of our curriculum is taught this way. Some still set, of course – that’s the Head of Faculty’s decision. Our challenge now is to raise attainment for all and to ensure that every student continues to increase their ability to learn, grow and achieve. I commend you on your stance; as far as I can tell the evidence does indeed stack up in the way you have described, with setting conferring a small advantage on the higher-performing children and a small disadvantage on everyone else. Like you, I feel pretty strongly that current performance is an indication only of that, rather than any permanent state. One of my first blog posts http://wp.me/p44DHA-m was triggered by a visit to a school where I was really struck by the way in which children were being ‘levelled’ throughout their day, to their detriment, I felt. I also have direct experience of taking students who have failed AS Physics at their first attempt and have subsequently gone on to get high grades and a degree in the subject, and GCSE re-sit students making the whole thing look easy, and indirect experience of a student starting college at Entry Level and going on to eventually graduate from university. However, there are two things that bother me, and I think need some careful thought. If you read e.g. Talent is Overrated by Geoff Colvin, or Outliers by Malcolm Gladwell (possibly the former is better but the latter is better-known), the idea of quantity and quality of practice is central to achievement. The study of violinists is quoted, and seems important to me. The difference between very good, and exceptional violinists is that the exceptional ones were already way ahead on hours of quality practice when the others got serious, so they couldn’t be caught because of the limitation on the number of hours of quality practice that was possible per day. By the same token, it could be that a child two levels down on entering secondary school is only going to catch up by working a lot harder than average. If that’s how it is then you do them no favours pretending otherwise but I think teachers need to recognise how tough that message is for teenagers, even if it is potentially inspiring. Secondly, there is a big question about whether the negative effect size of ability grouping can be eliminated by obliterating the notion of ability, as opposed to performance, or whether it is inherent to any performance-related grouping. I don’t think the research can answer this question yet. Thank you for this comment – really detailed and thoughtful. I’m certainly not in the “growth mindset will solve all our problems” camp, but I do think a student who adopts an increasingly growth mindset will be better for it. I know I am never going to be a world-class runner or guitarist – I started to late and I don’t put enough time into either. But if I do put the time and effort in I can be a better runner or guitarist than I am now, and that’s good enough for me. In schools you are right, it is rare indeed for students who are behind to catch up completely. I would not encourage any student to compare themselves in this way to others though – X, try to catch up with Y. The most important thing is that X improves as much as possible as rapidly and securely as X can. Totally agree about the use of the word ability. It is used so often to describe pupils as if it is set in stone. Achieving is a much better term as all we can ever have is a snap shot of what children have achieved so far. 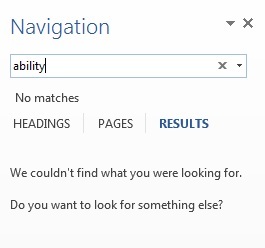 I would hate to think that I know what a child’s ability is. The world is full of surprises which is one of the things that makes our job so worthwhile. Another thought-provoking post from Chris. Reblogged this on Excellence & Growth Schools Network. Great post Chris. Thank you. I referenced a research report last weekend for which I couldn’t remember the source; major credibility fail! It was on my list to go track down some of the evidence. Thanks for making that unnecessary. It was a key topic in my TT and at the time we were recommended to read Vic Kelly; he wrote with passion and clarity about the negative impact of intractable streaming mechanisms and the potential for mixed ability teaching. It sustained me through many challenges since. But it’s good to review one’s values regularly and you provide a very helpful lens and loads of links for so doing. A key problem with ability labelling is that defining it so readily reflects subjectivities and societal inequalities, particularly in terms of ethnicity and class. Any equalities monitoring of ‘bottom’ sets provides a snapshot of this. Schools thus make short sighted decisions for many children. Only last week a twitter contact sought advice regarding a bright, academically successful boy from Portugal, a relatively new arrival to the UK whose English is still in the early stages of fluency. What group is he in? Bottom set. There he has work of less cognitive challenge than his capacity and limited language models to learn from and copy. This particular young man is lucky in that his teacher gets the issues and is determined to personalise his work. This does not always happen. In any case, it takes 5+ years to approximate academic fluency so he could be stuck, inappropriately placed for most of his secondary career. It’s still the norm to put new to English EAL kids in bottom sets – sometimes to avoid the requirement to adapt teaching to support their needs,But it’s a potty and iniquitous choice unless there are clues the student has a learning difficulty in addition to the need to learn English. Even then, it’s always going to be better to learn English from articulate peers. I know the demographic of your school doesn’t include many EAL learners but your posts are rightly popular so I just wanted to flag up their plight. These are kids whose academic potential is so often unrecognised because of their immediate developmental needs for learning English. They are ‘boxed in’ by a fixed mind set and misguided ability labelling. I agree with you. The same is true of students with ASD or EBD students who are not “low ability” at all but may be low attaining. Not fair. Big fan of this Chris, having recently made the decision to mix the classes in my department by prior attainment where possible for the first time ever. This decision has not been taken lightly, quality of teaching practice for one had to be judged to be good enough, Because it will be harder for staff, but It was about time we started making the right decisions for all students. We have run these classes for 2 weeks now and despite some complaints before we made the change from some parents (bet you can’t guess which parents) the experience so far has been great and Totally positive. Thankfully SLT have been really supportive about the issue with parents and we believe we can now deliver a learning experience for all. That sounds fantastic! Great to hear. I think I’m wary of stating that ‘setting is bad’ not because I’m necessarily in favour of it but because that presents the case as a binary and implies that ‘not setting’ is therefore ‘good’. I imagine what the teachers do with their classes and how the other structures of the school support that are the key factor. What is it about ‘not setting’ that is better? What specifically? It can’t be the mere fact of sitting in front of a teacher in the company of mixed-attainment peers, can it? (If so then wow!) Is it that it causes the teacher to teach differently or the department to plan differently or the kids to react differently? We need to know more.